The Funkshion Fashion Show Miami Beach is yearly event held for upcoming designers that are emerging on the Miami and international fashion scene. Funkshion happens 3 times a year in Miami Beach and the next event is July 16th through the 21st. The Funkshion events are very popular with great fashion shows, dinner parties and nightclub parties. 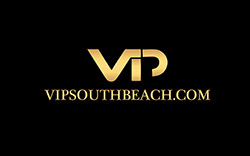 South Beach is more full of beautiful models that that week than normal on the runways and enjoying the South Beach nightlife. Miami Fashion Week is here with plenty of great events, fashion shows and of course the best models. Here is the events schedule for the week. Julian Chang / Lisu Vega / Kayce Armstrong / Samy Gicherman / Viviana G.